There was something fun about bouncing around in this grandma-mobile. My 1995 Buick LeSabre was powered by a 3.8L V6 engine and had ice cold AC. I drove this thing for three years as a daily while working on my 1999 Chevrolet Camaro. I did a ton of maintenance on this car to bring it up to spec. Ultimately it was very reliable and relatively comfortable. I can't remember any of the milage data for this car. After three years I sold it to one of my friends who also needed a daily. My good friend Austin bought this car from his grandmother. This is an actual grandma-mobile people. She drove this thing to church and kept extremely accurate maintenance notes. 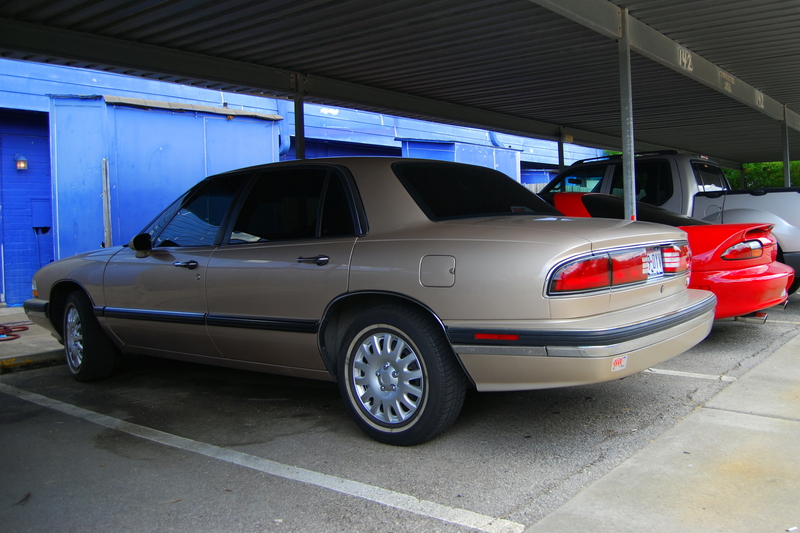 Unfortunately Austin didn't maintain this beautiful 1995 vintage Buick LeSabre. He left it parked at our office with a broken water pump, dead battery and empty fuel tank. I offered Austin some cash to take the car from him. I think it was like $500, because the car was broken. It was probably the best deal I ever got on a car. My buddy Sean and some other friends went up to the garage and we swapped out the water pump. Go the car running and I drove it out of the garage. It was bucking and stalling, because it was out of fuel. I barely made it to a gas station. I got the car tinted, added a nice deck and threw a big sub in the trunk. It was a whole new ride and served as my daily for three years. Albeit it wasn't the most hip vehicle especially as I progressed in my career. Eventually I sold it to my buddy Jessie who was working on a cool project GTI and needed a daily. Later Jessie bought a S550 Mustang and gave the Buick away to a friend's cousin who needed a car. As of 2018 Jessie still has his project GTI!